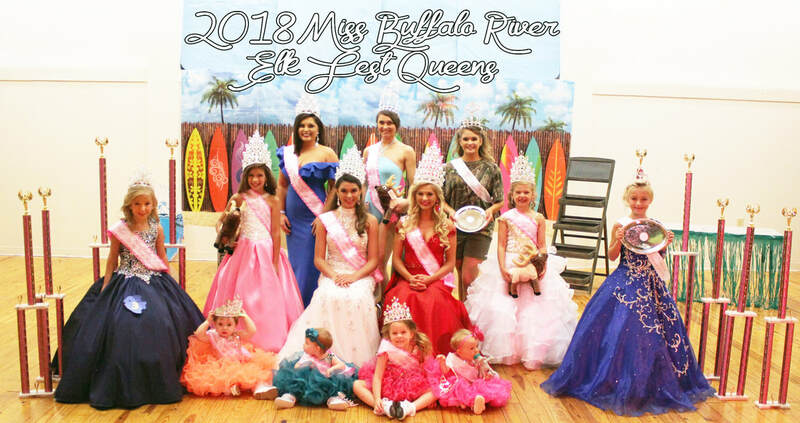 Welcome to the Miss Buffalo River Elk Fest Pageant Website! To learn more about the Buffalo River Elk Festival held June 28-29 Click Here. Who will be the next Miss Elk Fest Queen? Hosted by the Jasper High School Key Club and the Newton County Kiwanis Club. The pageant is held in conjunction with the Buffalo River Elk Festival held each year in Jasper, Arkansas. Thanks to the Buffalo River Elk Fest Committee we plan to continue this great pageant for years to come!! The Buffalo River Elk Fest Pageant is hosted by the Jasper Key Club with help from the Jasper Newton County Kiwanis Club. The proceeds from this event help fund the Key Club's Service Project. Thanks to everyone for helping the Kiwanis Club and Key Clubbers raise money!! Thanks to the sponsors the 2017 Buffalo River Elk Fest Pageant Sponsors!